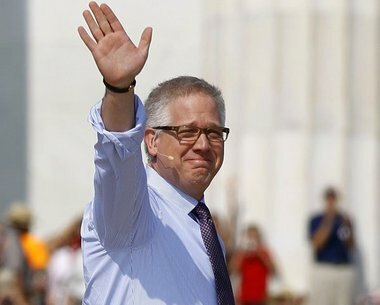 Glenn Beck Says He Left Fox News to "Save His Soul"
The revelation came as Beck spoke at the NYU Stern School of Business, he was accepting an award for “Disruptive Innovation” from the Tribeca Film Festival. Beck recounted discussions he had with Fox News chairmen, Roger Ailes. The main issue with Beck&apos;s claim is that it just doesn&apos;t appear to be true. Many claim that Ailes and Beck had a contentious relationship due to Beck&apos;s constant promotion of non-Fox related goods and falling ratings. Beck said that he just to leave Fox in order to keep his soul intact. Which makes me question a few things. 1. How bad must Fox news actually be? 2. What is left of Beck’s soul to save? "Built in a time when things were timeless." 2. Charge people $10 a month to subscribe to your website. Glenn Beck is worth about $105 million dollars. He is the highest paid political commentator in the United States. His website, The Blaze, brings in around $40 million a year alone. 3. Invite people to debunk conspiracy theories you don&apos;t believe in only to continue to bloviate about your own. "These sources we are talking to, are talking to others." It&apos;s OK, I understand. Sometimes people say things they don&apos;t mean, like when you said you left Fox News to save your soul. I know what you really meant to say was that you left Fox News so that you could pursue alternative vibrant funding streams without having to answer to a man whose even better at bullshitting and bloviating than you are.